The thyroid is very severe and life long disease and those who suffer from Thyroid malfunction knows the extent to which it can harm our body and killing the metabolism totally. Somehow women are prone to Thyroid problems and most women over the age of 35 years are likely to show thyroid disorder symptoms. This, however, does not mean that men are safe from thyroid malfunction, a thyroid disorder can affect men at any age and they should also be cautious of there imbalanced thyroid levels. 30 million Americans have thyroid disorder, while half of patients with the condition are not diagnosed. Women are ten times more prone to thyroid problems. If you notice any of symptoms above chances are that you may be suffering from a Thyroid disorder and a quick blood test would clarify the situation and you opt for medical advice immediately. There are many remedies for thyroid disorder. However what we bring to you today is an age-old natural remedy for thyroid malfunction which has shown positive results in controlling the thyroid levels in human body be it, men or women. 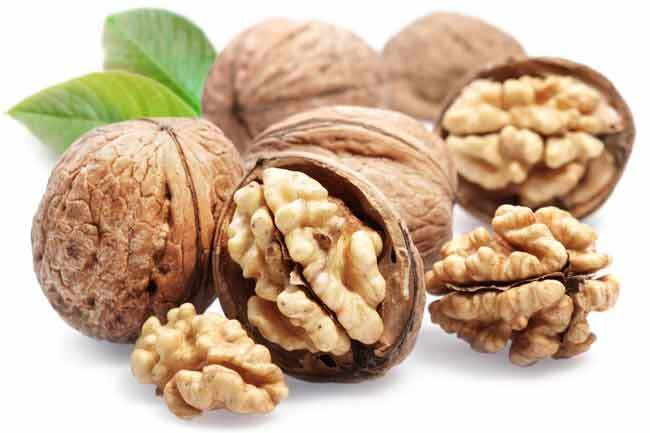 All you need to to do is first wash the walnuts, and dry them. Later you should prick it with fork or knife on the very area or you may cut them into thin pieces. Put the thinly cut walnuts into a glass jar and cover it with honey. Cap the jar with a muslin cloth and tie the cloth around the neck of the glass jar, and keep it under the sun for 40- 50 days. Strain the liquid out of it and store it in another glass jar. You should have this liquid every morning. Remember to have this liquid of honey and walnut daily and notice the results in few weeks time. There is always one thing to note that in order to have proper thyroid levels you thyroid glands need to function properly. Due to the lifestyle that we have adopted these days the functioning of each organ of the body has gone haywire and to bring it back to normal one needs to understand a healthy lifestyle and proper eating habits can cure most of the diseases that we witness each day. Adopt a healthy culture and inspire others around you to have had a healthy lifestyle to have a disease free body that one can live with. Ayurveda, Mens Health, Womens Health ayurvedic home remedies, natural remedies, thyroid profile. permalink. My Mother age is 47 and she is having thyroid problem from few months. The honey and walnut combination sounds interesting. I will suggest it to her hope it works well. Thank you!! !